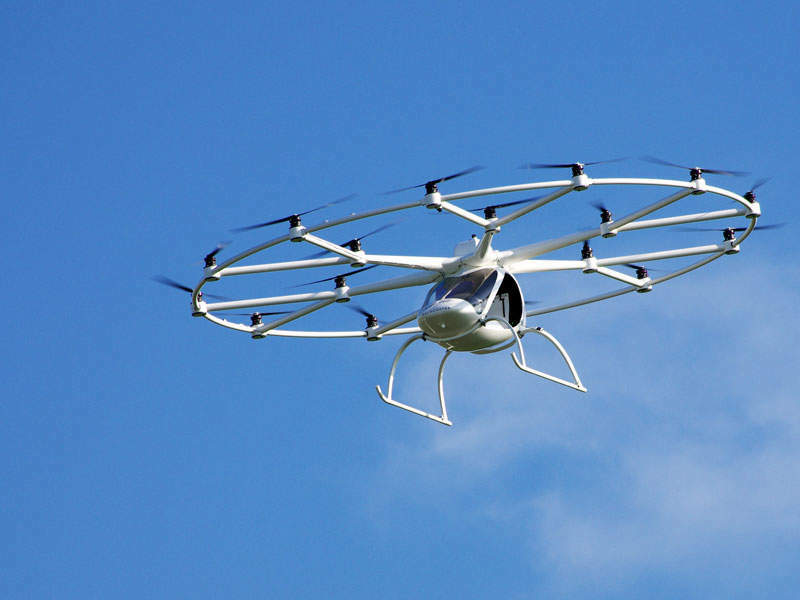 The Volocopter VC200 is a twin-seat, all-electric helicopter. Image: courtesy of e-volo. The VC200 helicopter’s maiden flight was held in November 2013. Image: courtesy of e-volo. The VC200 helicopter obtained airworthiness certification from the German aviation authorities in February 2016. Image: courtesy of e-volo. 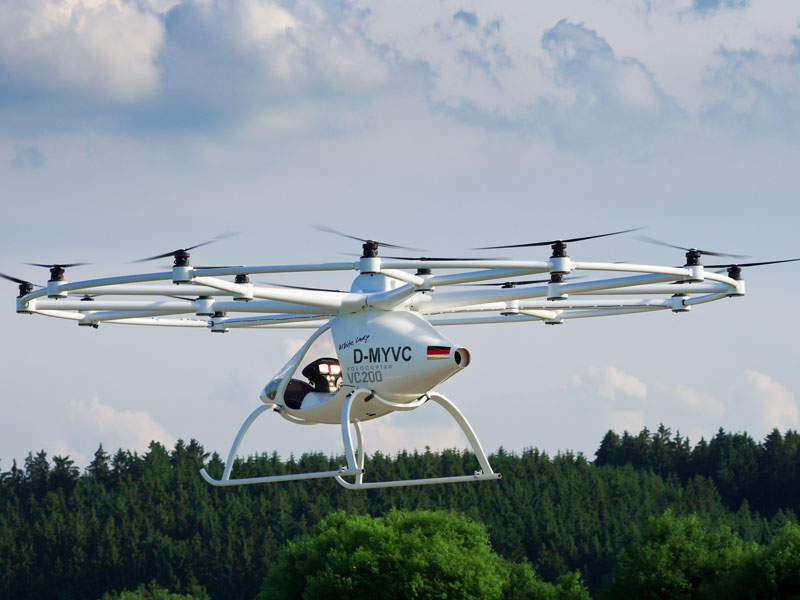 The Volocopter VC200 (VC200) is a twin-seat, 18-motor, all-electric helicopter under development by German company, e-volo. The helicopter is intended to be used as a new type of urban transportation platform. The VC200 aircraft completed its maiden flight at dm-arena in Karlsruhe in November 2013. Manufacturing and installation of the electronic components of the aircraft were completed in August 2015. Test flights of the prototype aircraft were concluded in November 2015. 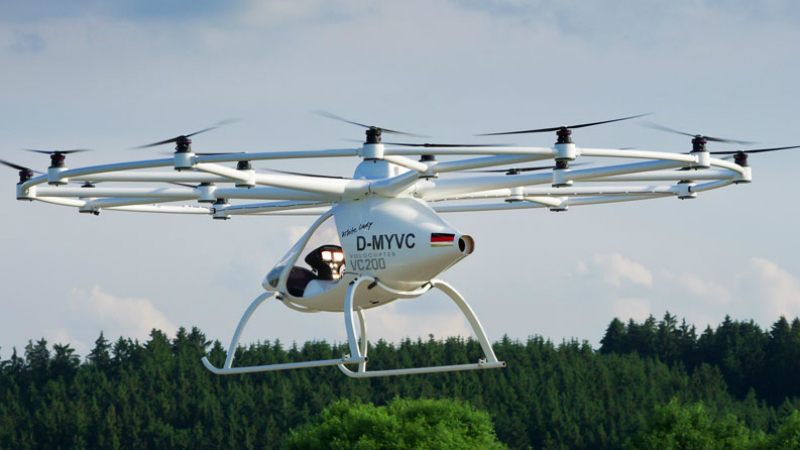 The VC200 helicopter is the second in the series of multi-rotor designs that received permission from the German aviation authorities to fly as an ultra-light aircraft in February 2016. The first manned flight of the aircraft was conducted at an airfield in Southern Germany in March 2016. Designed based on e-volo’s VC1 proof-of-concept helicopter, the VC200 helicopter is constructed using a light-weight fibre composite material. It is a vertical take-off and landing platform with hovering capability. 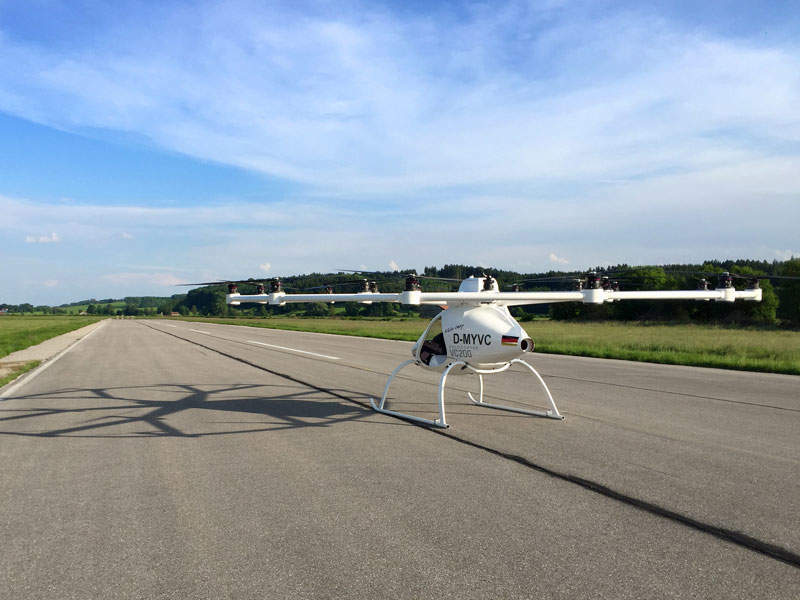 The design can serve as a base platform for developing manned aircraft or heavy-duty drones. The airframe is fitted with a number of independently-driven rotors providing necessary thrust and buoyancy. Each rotor hub houses a two-bladed propeller, the angle of the blades can’t be adjusted. The helicopter generates less noise and achieves zero emissions through replaceable energy sources. Its maintenance cost is very low since it features no mechanical control parts. The bearings of the electric motors and rotors also run with no wear and tear. "Its maintenance cost is very low since it features no mechanical control parts." Since the pilot himself specifies the direction, no attention is required for flight characteristics such as gliding angle, minimum speeds, stalling, mixture control and pitch adjustment, and other complex parameters of conventional flying. A ring-shaped frame is mounted with 18 electrical motors, which ensure the necessary uplift and control of the aircraft. The helicopter is equipped with a fail-safe mechanism and can even continue flying and land safely in the event of failure of some of the motors. The pilot can stop the rotorcraft in mid-air and slowly glide it to the ground by pressing an emergency button. The helicopter is also equipped with an overall rescue parachute. The VC200 helicopter accommodates a pilot and a passenger and can be either operated by pilot or can be remotely-controlled or operated completely autonomously. It is equipped with flight control units, which feature a complete set of positioning sensors including pressure gauges, gyroscopes, accelerometers, and magnetometers for all three spatial axes. It can be operated with one hand using a joystick. The independent onboard computers enable automatic position control and the direction control. The VC200 is equipped with 18 electric motors housed in a ring-shaped frame. The motors are powered by nine independent rechargeable batteries. Each electric rotor generates approximately 2kW (2.7hp) of power. The rotors generate the entire uplift and ensure the control of the aircraft through targeted changes in the rotational speed. They also provide a stable flight and reduce the probability of errors against system failures. The helicopter has a maximum speed of 100km/h, and can take-off with a maximum weight of 450kg.